Every mom becomes Wonder Woman with this collection! With both DC and Marvel comic characters in attendance, every young superhero will be climbing the walls for this party. 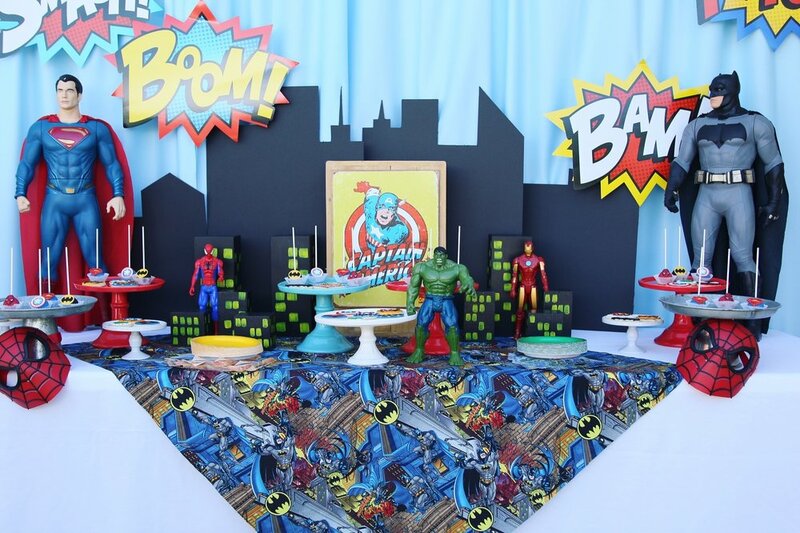 This collection comes with an assortment of superhero action figures of all sizes, custom centerpieces, table linens, and games, so there is something for every child (and adult) to marvel at. Be sure to check out our add-ons below to make this a one-stop-shop for your party planning! No party is complete without a themed dessert display! 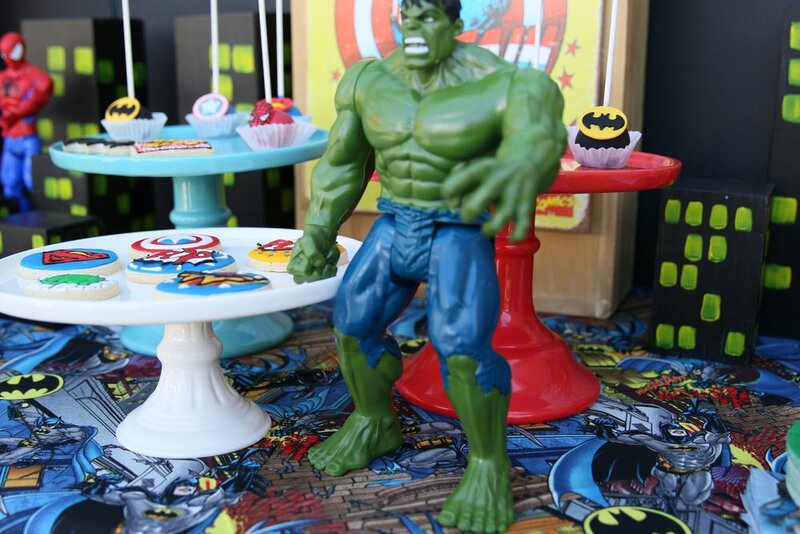 This collection offers colorful cake platters, superhero table overlays, large Superman, Batman figures, along with their friends Spiderman, Hulk, and Ironman. Captain America even makes his appearance among the cityscape backdrop! Each table can feature a 12" action figure with comic book explosions in a "cityscape" vessel. Each dining table will feature framed authentic superhero comic images. 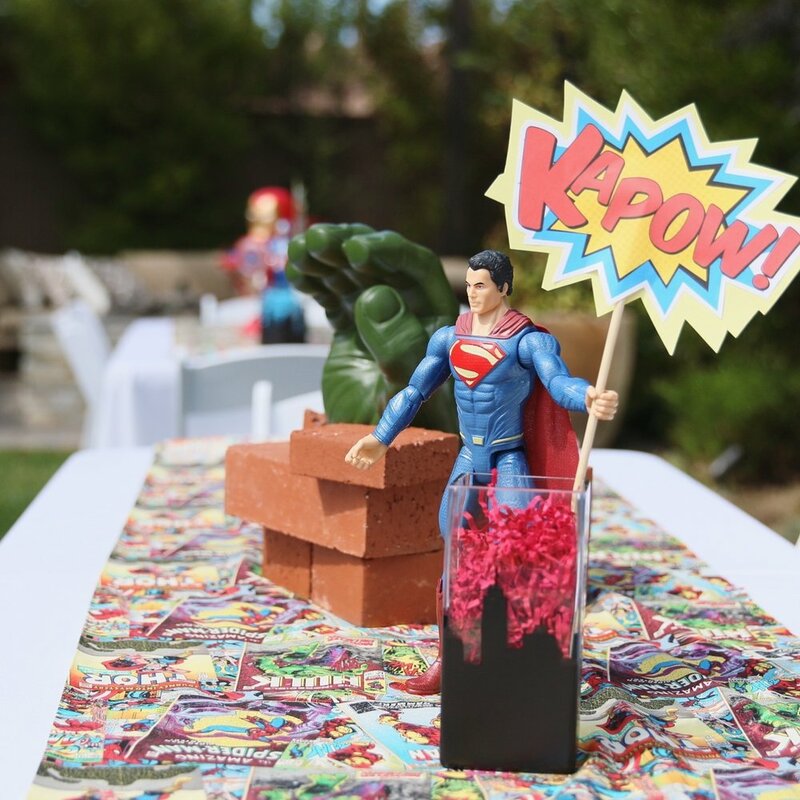 Each dining table will feature one large superhero in a custom made centerpiece. This collection offers colorful cake stands for your dessert or food displays. 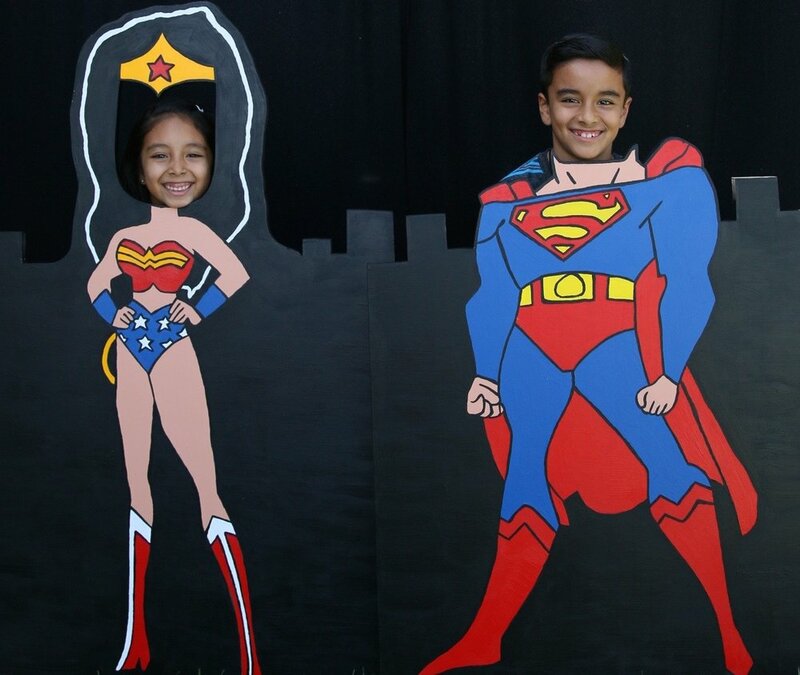 Every guest can feel like Wonder Woman and Superman with these custom photo cutouts. 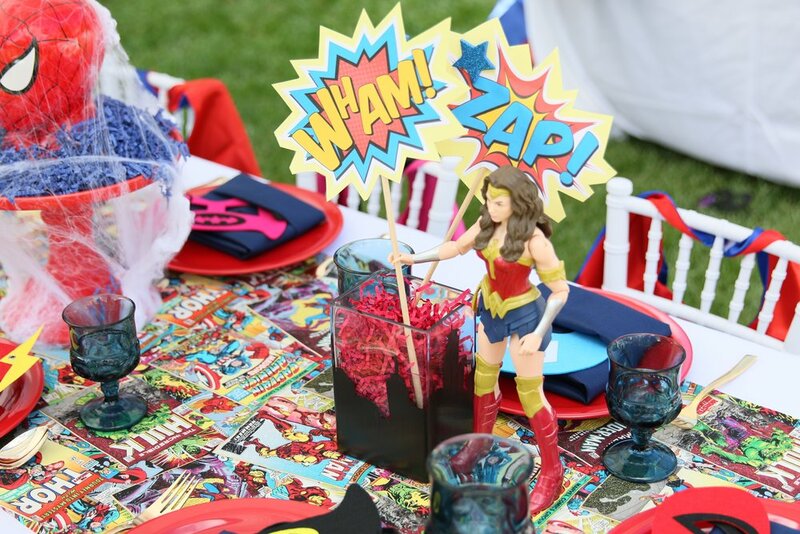 Superhero table runners can make any table extra fun.